I love cheese. All cheese. 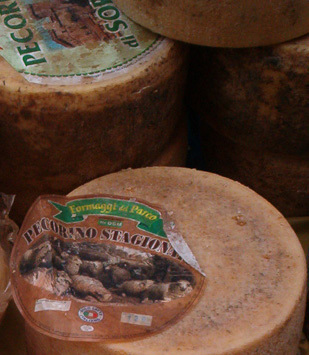 As there are over 400 different varieties of Italian cheese, I’m in the right place, particularly as Parmesan, Gorgonzola and Mozzarella are among my top favourites. Well, with Asiago, Fontina… any formaggio di fossa… Provolone… Taleggio… Oh dear! 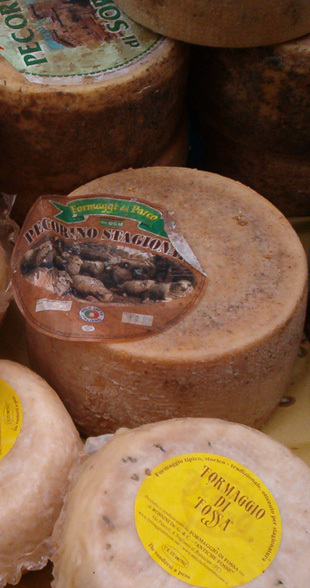 Another of my favourites is goat’s cheese, but in our corner of Le Marche, I’ve found it difficult to find. Daniele asked at the local shop. “Nobody wants it”, was the reply. Now, a little bit of Cheddar and some Stilton…Cheese Heaven. 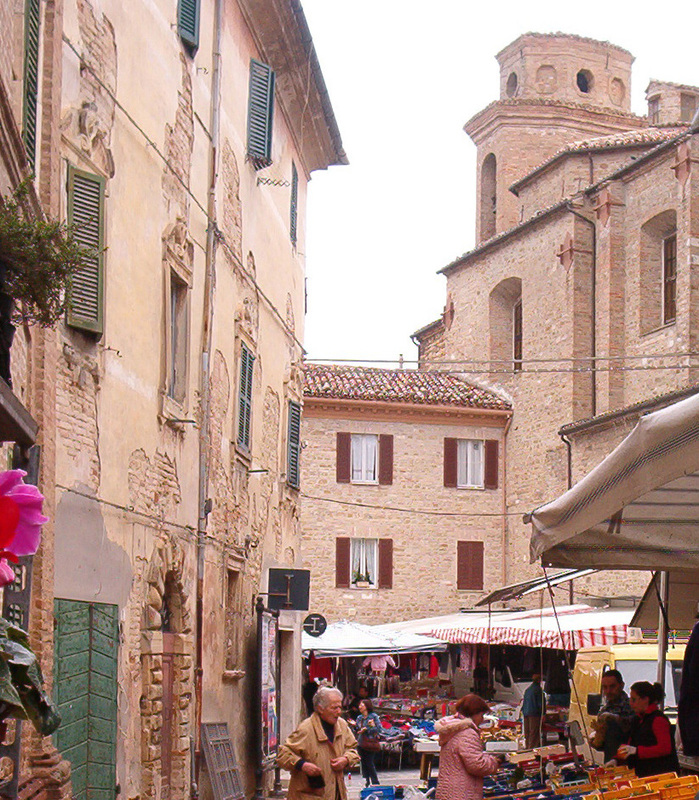 There is a market held in one of the surrounding towns/villages on every single day of the week – even Sunday. None is further than a fifteen minute drive from Casalba. This is one of the smallest markets (particularly during the autumn and winter months), but you can be sure of finding all the basics and bagging a bargain. I met up for a coffee with a friend before doing the ‘spesa’. 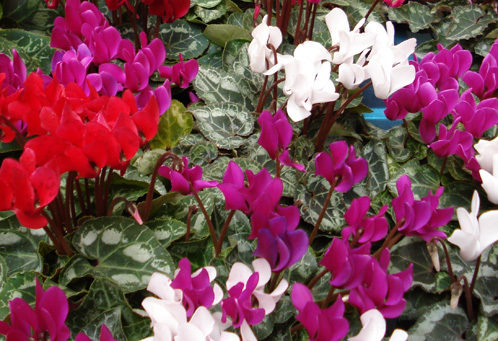 I dithered over the cyclamen, particularly the scarlet ones, but did come home with some fruit and veg, a loaf of wholemeal bread and two types of pecorino: ultra fresh and stagionato. 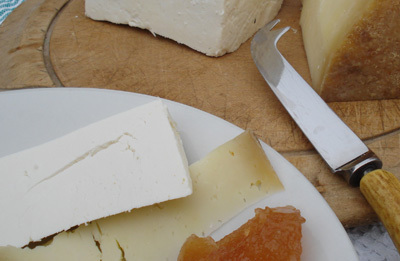 Dan and I had a slice of each after lunch with the Quince Cheese I made from our own fruit.